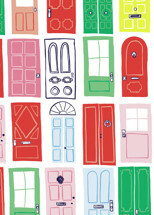 Grab your free printable map to the best doors in Charleston, SC. This little pink map is a great walking tour in the heart of downtown Charleston. Instagram and Charleston are perfect for each other, and if you have ever followed a feed that has a photo or two in front of a perfectly manicured old door, you know it is what you want to do when you get here. Headed to Charleston this summer? Would you love to go on a walking tour of historic downtown and snap a few photos of gorgeous doors? I made the #littlepinkmapCHS just for you. I am obsessed with all of the beautiful doors in Charleston, I find myself walking around snapping pictures of new ones, sometimes even catching a new freshly painted hue. The architecture and bright bold colors are filled with southern charm. I have been following some great local instagrammers here in Charleston and every so often I find a new door I want to snag my own picture of. 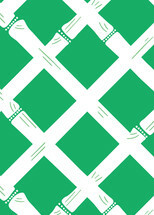 I love illustrating doors and I even was so obsessed that I designed wrapping paper with them. I've made my way around (and around) town looking for the most famous of famously instagrammable doors. I illustrated them originally to sell as prints and paintings, but since I had my favorites, I made a little pink map of the best doors in Charleston. It occurred to me that it was a bit difficult to find a few of these doors, and if I were visiting it would have been nice to have a little guidance to find these secret gems. The crazy part was that some of these doors are easy to spot, but if you aren't looking you can walk right past them because you are too busy looking at the door across the street. I cannot even tell you how hard I tried to find the little pink house. So hard. It isn't that I couldn't ask someone where it was, at one point I felt it was a challenge and walked up and down the same street over and over. I stumbled upon it accidentally, when I was looking for another door and was delightfully surprised. So, if you lack the time to wander or just can't seem to find that one door, I made a cheat sheet. Be a Charleston pro and fill your Instagram feed with the best doors around. I created a quick and easy walking tour of doors in a map; included my favorite little pink house of Charleston and that famous pink wall, and have it here, free as a download for you to print and explore. I'm sharing cause I love this city, and because once you start exploring these jasmine lined streets you will find it hard to stop. Already in town? Snag a FREE printed version at Cannonborough Collective, a great boutique featuring many local artists, designers, and makers, and snag one of my prints of your favorite door to bring home to your bestie. I do commissions too, feel free to email me or check out my Etsy shop here. Download: Get your FREE PRINTABLE LITTLE PINK DOOR MAP. Oct 1 SHOP IS OFFICIALLY OPEN FOR BUSINESS!